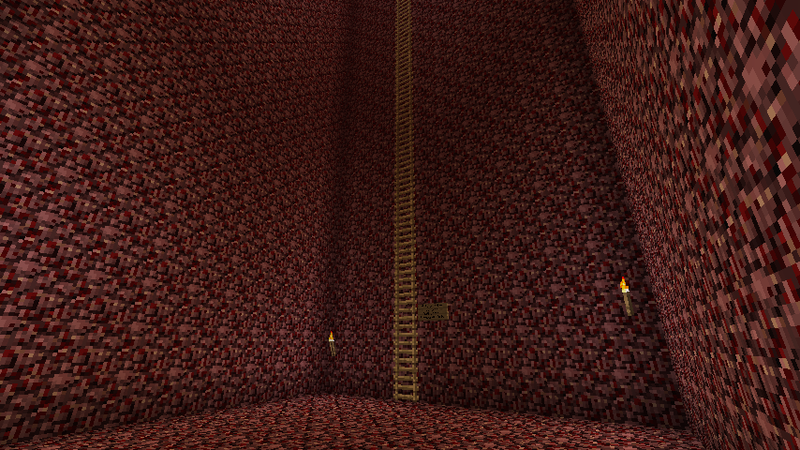 This is the base of the trap, where the Zombie pigmen fall, and I can collect the gold nuggets here. Looking up at the top of the trap. Basic working principle is that the pigmen spawn up there in the spawning area and walk onto the open gates as if they were solid blocks, then fall 30 blocks to their death. Spawning Area, from the right side. Spawning area, from the left side. I know that they are spawning because there are a lot outside. I'm playing on Normal difficulty. The answer you are looking for is hidden inside you own question: "there are a lot outside". The game randomly checks places to put mobs and since the outside is much larger than your trap, most of the zombie pigmen spawn there. The mob limit is exhausted pretty much instantly and the game doesn't spawn any more, unless some of the existing mobs de-spawn or get killed. You will get zombie pigmen to spawn in your trap eventually, but you may have to wait hours for just a few spawns. You need to prevent spawning outside your trap to improve rates of your trap. 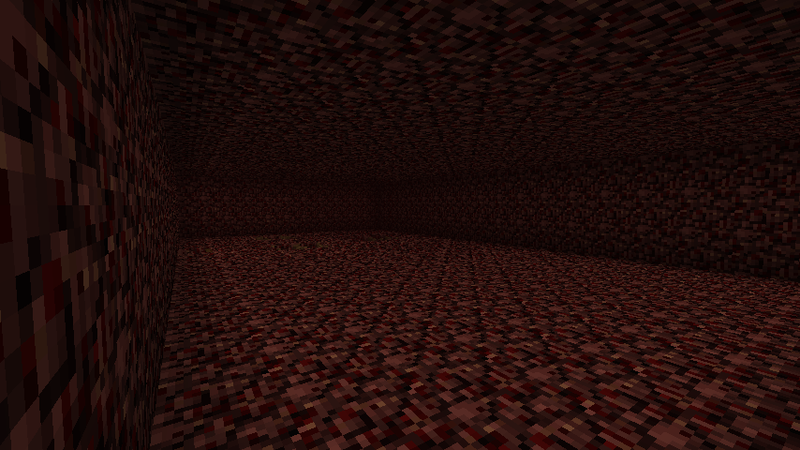 This is very difficult to do in the nether, since you can't use light or water to prevent spawning. That is why you don't see zombie pigmen traps, building one is a monumental project. Notice for example here a huge area is covered with half-slabs to prevent spawning. The spawnable area is +/- 8 chunks from each chunk where there is a player (minus the chunks on the edges of that area). If a single player is online, mobs spawn in 240x240 blocks area centered on the player chunk, that is roughly +/- 120 blocks from the player. I cant comment (or at least am too new to this site to find a comment link) so i suppose i will have to post this as an answer. Kcats is correct, I just wanted to note that mods wont spawn particularly close to you (24 blocks). Also, if you need to prevent spawning in a large area and you dont mind preventing your own travel, lava is more efficiant than half-slabs. It is abundant in the nether and flows further. It will not harm nether mobs but all land mobs need a dry place to spawn (on the overworld, and my own tests seemed to suggest this applies in the nether). However, if their really are large numbers of pigmen outside then makeing a platform and attacking them with a bow is the easier solution of all, provided you have the arrows. 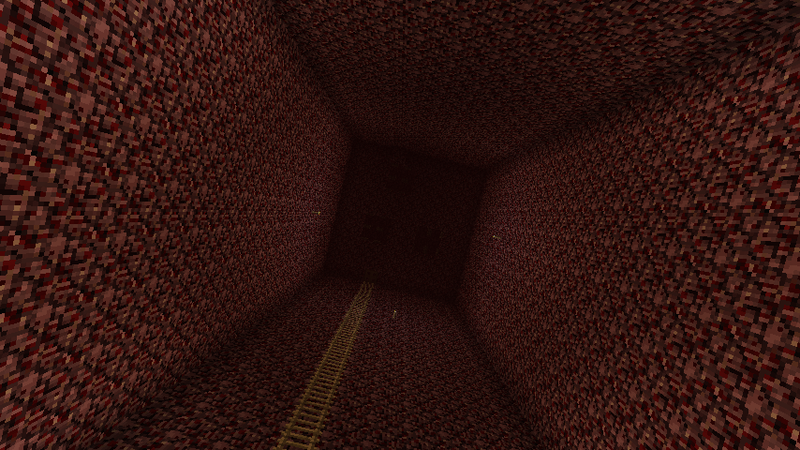 Automated mob farming in the nether is very difficult, but if you are dead set on it, use lava-falls where you dont plan to walk and half-slabs where you do to make at least a 100 block area around the bottom of your trap unfriendly for other mobs. To add to the other two comments, the other option is to build your trap close to the bedrock in the sky(sky rock?) and then dig out your trap from there and dig 120 blocks from where you plan on standing and you will get excellent spawn rates! Are light-level restrictions on spawning different in the Nether? What's wrong with my mob trap? Can you now get villagers through zombie spawners? Can mobs spawn on interactable blocks, or solid blocks occupied by interactable blocks? How to cure Zombie Pigmen anger infection? 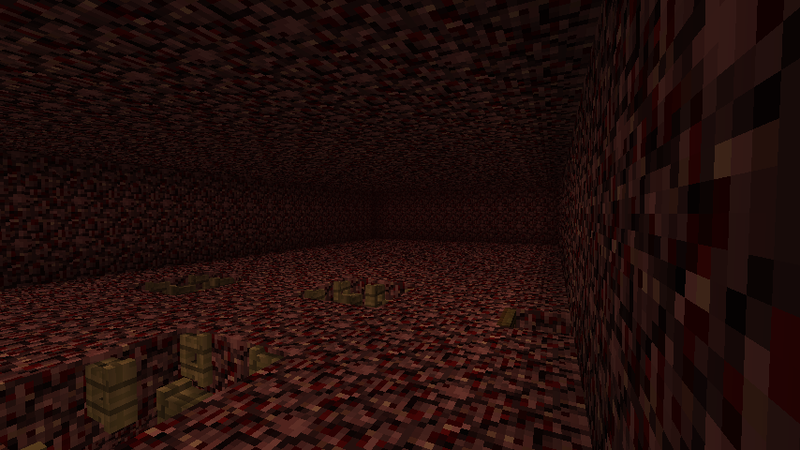 Can zombies spawn in the nether? How to force all spawner mobs to spawn on one platform?